Culzean Castle is a castle overlooking the Firth of Clyde, near Maybole, Carrick, on the Ayrshire coast of Scotland. It is the former home of the Marquess of Ailsa, the chief of Clan Kennedy, but is now owned by the National Trust for Scotland. 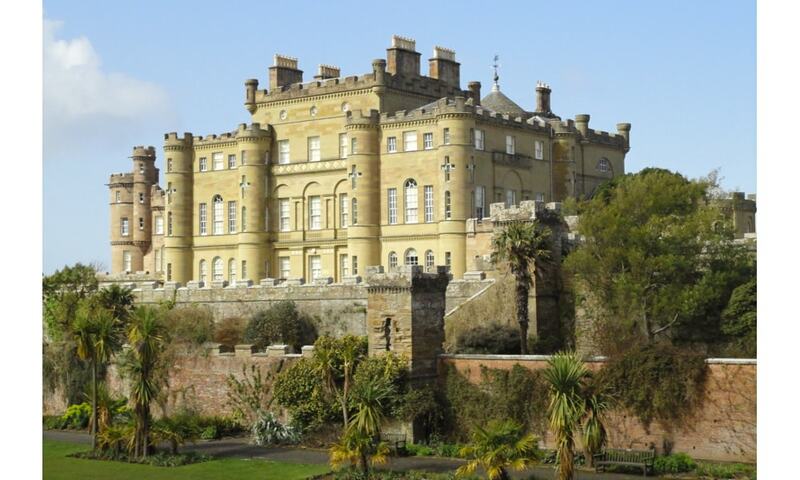 The clifftop castle lies within the Culzean Castle Country Park and is opened to the public. Since 1987, an illustration of the castle has featured on the reverse side of five pound notes issued by the Royal Bank of Scotland. The Castle is reputed to be home to at least seven ghosts, including a piper and a servant girl.